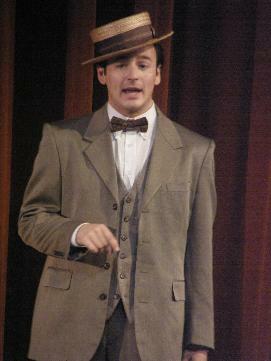 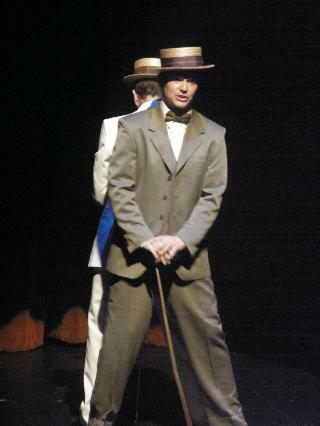 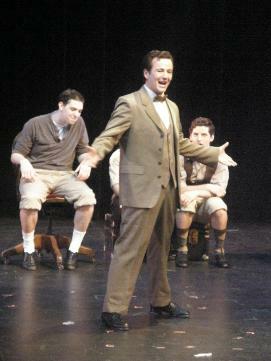 Ryan Foy as George M. Cohan in "The Seven Little Foys" (photo by Maryann Lopinto). 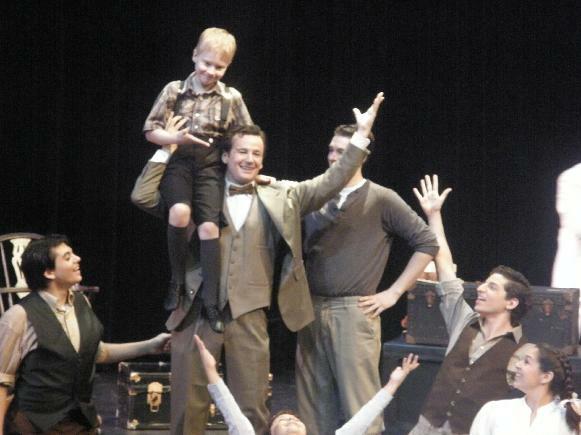 Ryan Foy (with Alexander Craven, playing Irving Foy, on his shoulder), on stage in "The Seven Little Foys"
And Ryan Foy--as "Back Stage" wrote--"is a natural." 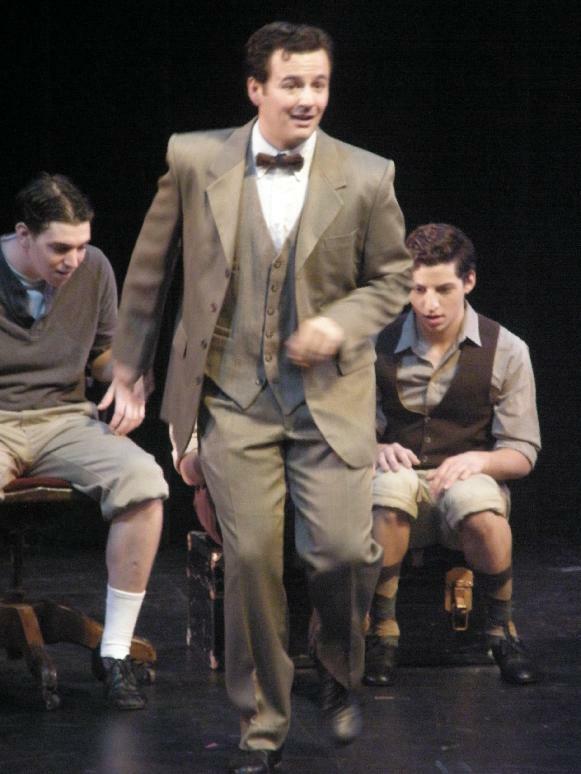 "A truly magical surprise," declared The Village Voice, noting that Ryan Foy "clearly has both the family bug and the family talent. 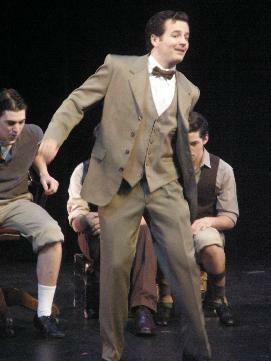 He lights up the stage whenever he appears." 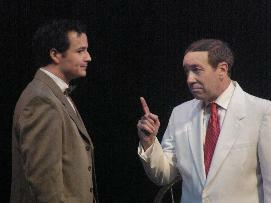 And NYTheatre.com called having Ryan Foy play the role of George M. Cohan Cohan "a delicious bit of casting." 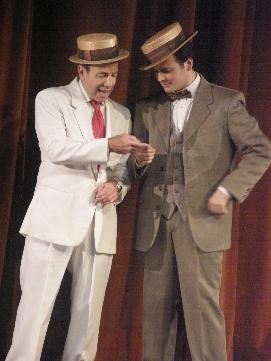 "Ryan Foy is charming and stylish as George M. Cohan..."
"Ryan Foy is a dandy..."
Originally from Denver, Colorado, Ryan Foy is a musical-theatre graduate from the University of Michigan. 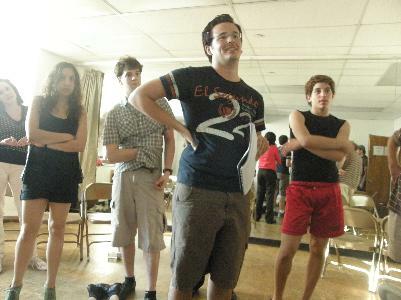 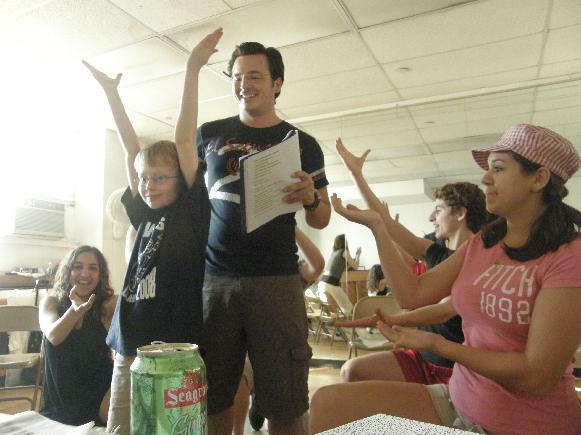 Beth Bartley and Ryan Foy, in rehearsal for "The Seven Little Foys"
In New York City, he has performed in "The Major and the Minor" (Lambs Club). 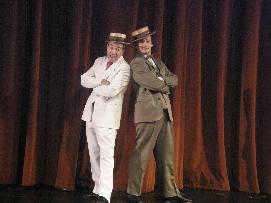 He has toured the US with "Dr. Doolittle" and "Go, Diego, Go!" 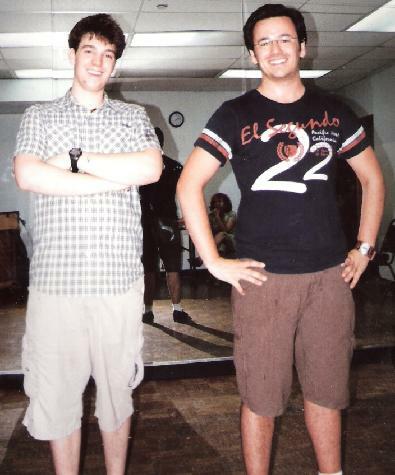 and toured internationally with "Thomas and Friends." 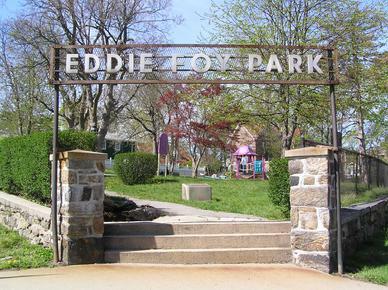 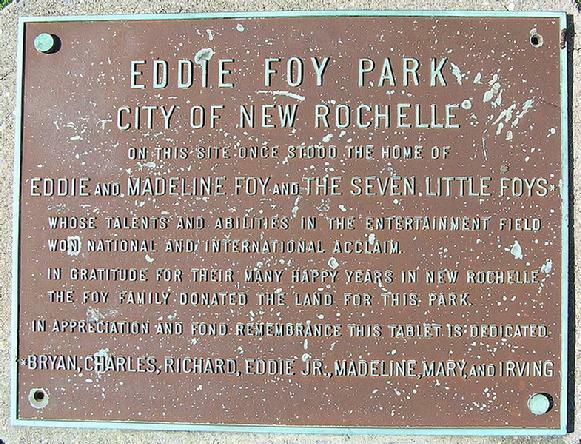 Ryan Foy, rehearsing for "The Seven Little Foys"
"Eddie Foy Park" in New Rochelle, New York. 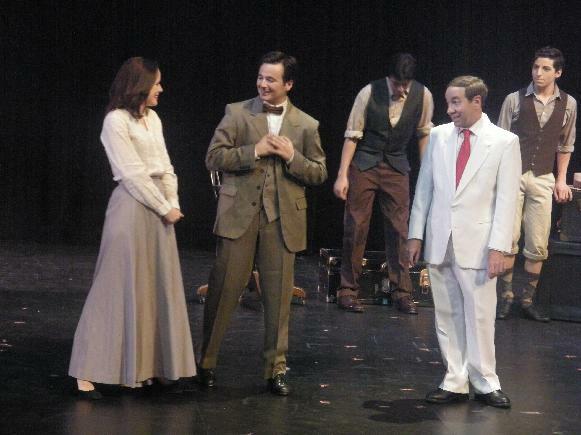 For more information on "The Seven Little Foys," please go to the page on this website titled "Foys at the Fringe."